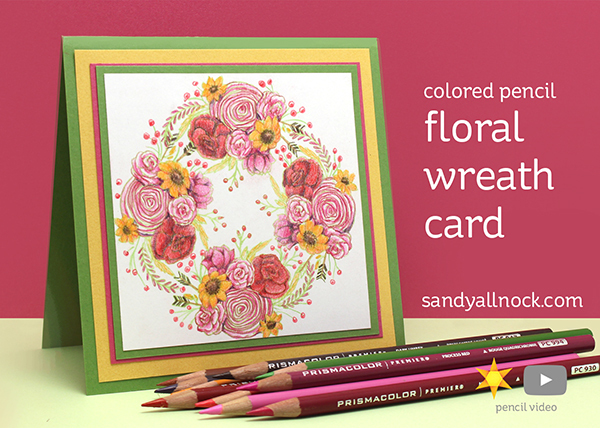 I hope today’s video shakes up your thinking a little – get this stamp set from Honey Bee or go look at your floral collection – and make a wreath of your own! I colored this with pencils but you could truly do this in so many mediums. Watch the video below or click HERE to see it in HD on YouTube. This may have been a time consuming card, but just LOOK at the results! You could easily take this stamped paper, a couple pencils and a sharpener, and go sit at your kids’ baseball game and make something extraordinary. Stunning. Hope you give this to someone special after all the time you put in. Absolutely beautiful! Love your color choices. Just a week or so ago I found your website. I feel as though I hit the “bonanza”…your work is simply stunning. 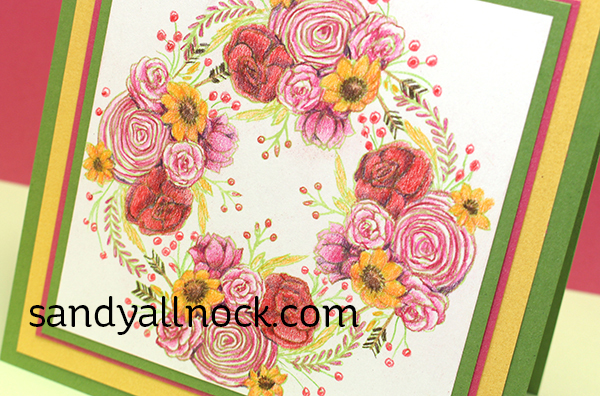 You definitely inspire me to keep trying to make cards as lovely as yours. Thank you so much for sharing your God given talent to all of us crafters. This is absolutely STUNNING! I had to pin this for inspiration! I will definitely be trying this!